A boxed set of 3 traditional blue & white egg shaped discs. They have a stylish bead & wool thread to hang by. 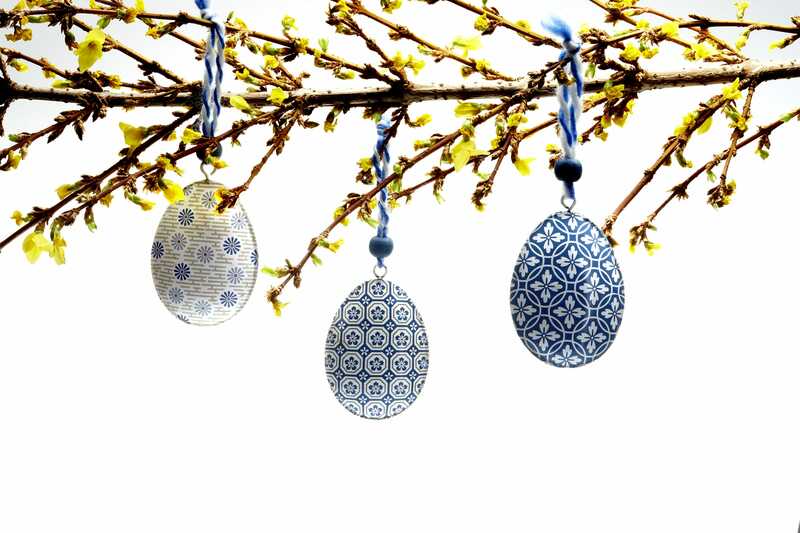 Ideal to hang on an Easter tree or to attach to chocolates. Made from metal & each one has a slightly different design.